While the Brazilian architecture of Oscar Niemeyer is much acclaimed, his work in Algeria is little known. 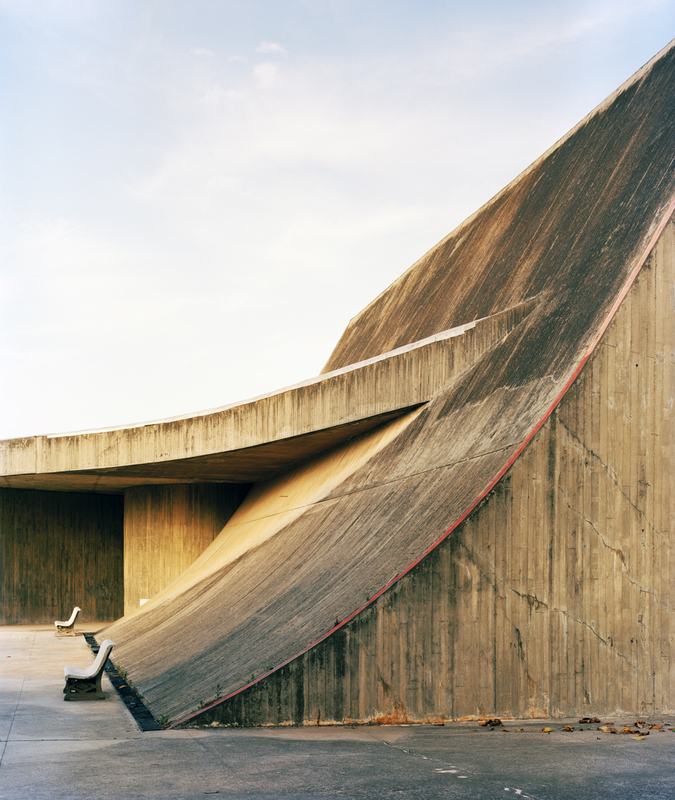 Photographer Jason Oddy has set out to shine a light on these secret buildings in his new series Concrete Spring. 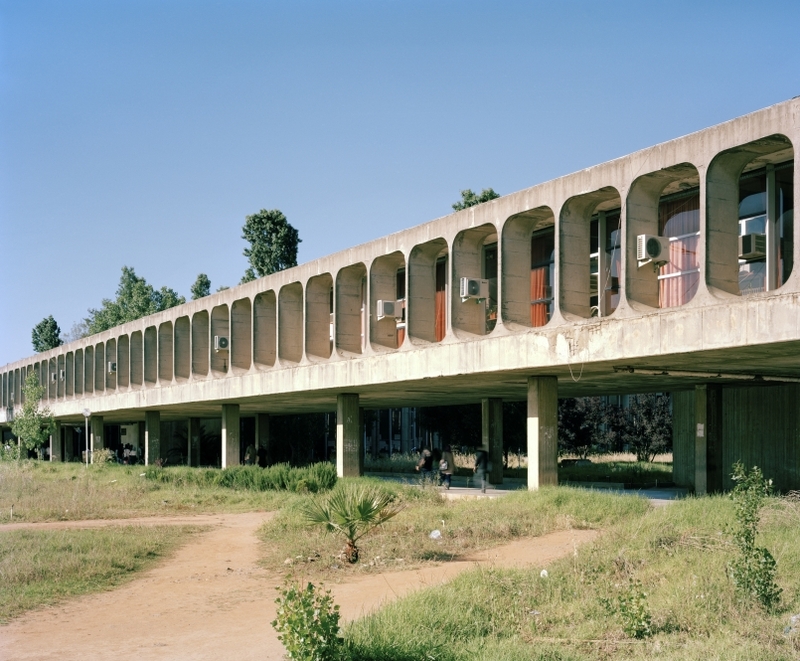 Between 1969 and 1975 Niemeyer was invited by Algeria’s socialist president Houari Boumedienne, to design two campuses – the University of Mentouri, Constantine, and University of Science and Technology Houari Boumedienne. 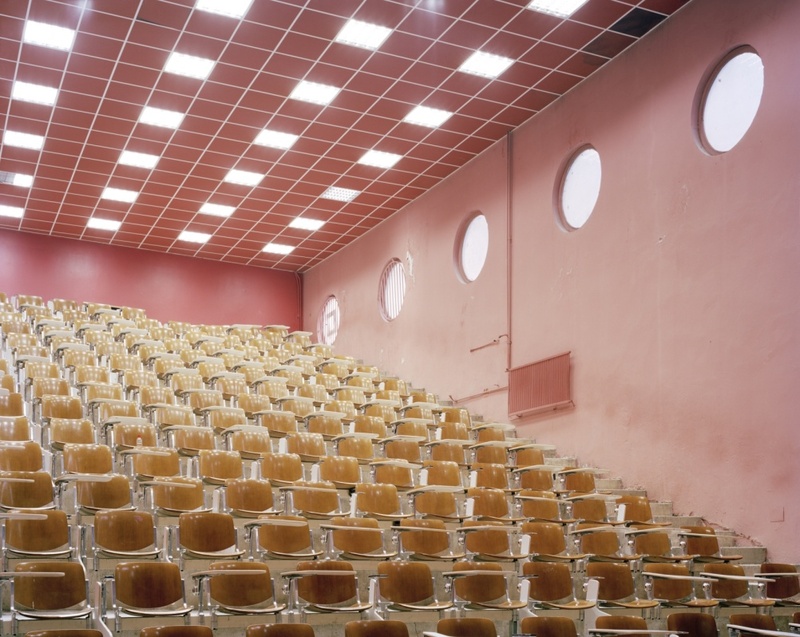 He also had time to create La Coupole, a sports hall, and together the buildings came to represent Boumedienne’s vision of a modern nation following Algeria’s declaration of independence from France in 1961. 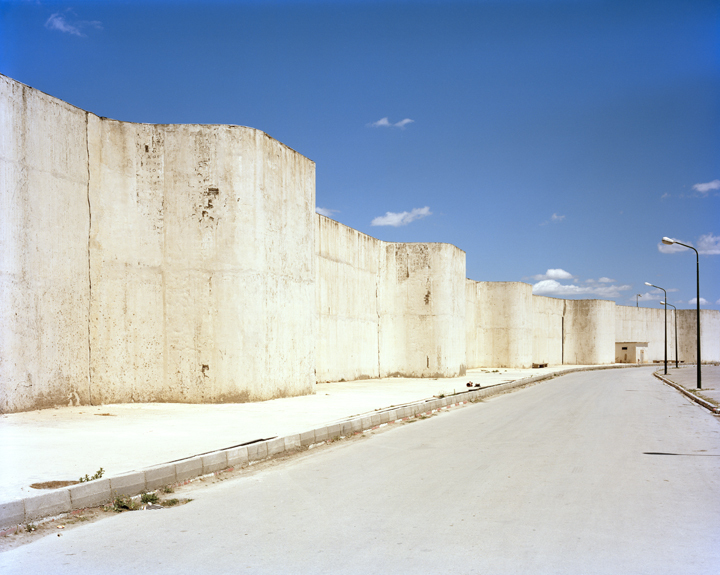 In June 2013 Oddy spent three weeks with a 5×4 field camera exploring the Modernist legacy of these buildings. After Boumedienne’s tenure as president the country went on to encounter a bloody civil war and continues to experience political turmoil. So these photographs were taken in 2013 – does any one know if the building is still erect or has it been demolished?